China’s nuclear power industry has eyed up a big push to export its technologies as countries around the world consider low-carbon alternatives to coal. But despite an increasingly clearer field for Chinese nuclear exports – mainly because of the woes dragging down French and Russian competitors – selling reactors abroad is likely to prove to a much tougher task than had first been thought. Perhaps the biggest uncertainty is whether there will be much of a nuclear export market at all. 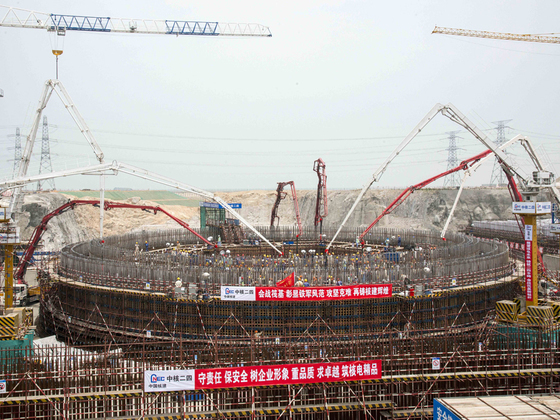 Since 2008, reactors built in China have accounted for the majority of the world’s new reactor construction. In 2015, seven new construction projects were launched, six of which were for China. While there are a large number of countries talking about buying reactors, many of which would be their first nuclear projects, the history of these types of exports suggests only a small number of these will be translated into real orders. Moreover, many countries have major concerns about relying on China for the supply of such a strategically important piece of infrastructure. In particular, their concerns centre on the quality of components, the rigour of the Chinese regulatory system, the risk of dependence on China and the potential leakage of technologies that have hugely strategic geopolitical use. There is little hard evidence on the precise impact of these issues on decision-making but it is clear that they warrant serious questions from any country wanting to buy reactors from China. For example, Philippe Jamet, a French nuclear safety commissioner, said in 2014: “Unfortunately, collaboration [with China] isn't at a level [where] we would wish it to be". China’s great strengths in nuclear are its well-oiled component supply chain and the ability of its vendors to call on Chinese government finance. For example, the Industrial and Commercial Bank of China has agreed to offer loans of €10 billion (74 billion yuan) to support CGN’s nuclear project in Romania. There is also a presumption that Chinese reactors will be cheap, although until China competes in open markets, we don’t know this for sure. An advantage to China is that its competitors in the nuclear export market are in various states of disarray. Of the two historic market leaders, France’s Areva is mired in debt, while Westinghouse isn’t in much better shape. US-headquartered Westinghouse was bought by Toshiba in 2006 and the Japanese company’s reactor division has made losses from 2012 onwards. The Toshiba group as a whole is expected to lose US$4.5 billion for 2015. In July last year, Toshiba admitted it had overstated its profits for the previous six years, resulting in a record fine from the Japanese authorities and its credit rating being reduced to junk. Progress with construction of the eight reactors using the AP1000 design is no better than with the European Pressurised Reactor (EPR), developed by France’s Areva. Four reactors in China are now at least three-to-four years late while the four in the US suffered further delays and are also several years late after only two years of construction. The real competitor appears to be Russia, which claims a formidable book of about 20 firm orders in Bangladesh, Egypt, Finland, Hungary, India, Iran, Jordan, Turkey and Vietnam - far more than the rest of the nuclear vendors put together. It also claims to be in advanced negotiations in Saudi Arabia, South Africa and Nigeria. Like China, there has always been a presumption that Russia would be able to supply the finance and that Russian reactors would be cheap. The combination of sanctions against Russia and the collapse of the world oil price has left Russia with depleted financial reserves. Since the Chernobyl disaster, it has supplied only about a dozen new orders and its ability to provide the five or six reactors per year, which are be needed to fulfil its order book, must be in serious doubt. Image by Mercator Institute for China Studies, Berlin (click to enlarge). 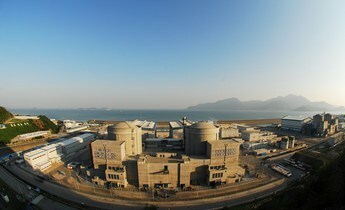 In 2008, China began to build new nuclear reactors for its home market at a rate of six to eight per year, not seen since the French nuclear programme of the 1970s. 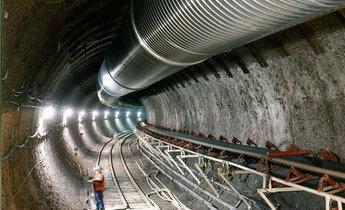 This programme was based on technology similar to that used by the French then, and was built under a technology licence with the French company Areva. 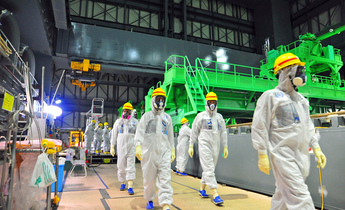 The Fukushima disaster of March 2011 brought this programme largely to a halt for the next four years, until reactor construction on a wider scale restarted in 2015 with six new construction starts. By 2015, China was looking to export markets for reactors. The Chinese vendors claimed these new designs were their own intellectual property and so were able to offer them for export without requiring the permission of their foreign partner. The three companies do not compete in the same countries. The first major Chinese export success was in 2013, when China National Nuclear Corporation (CNNC) announced it had sold an ACP-1000 reactor to Pakistan. In November 2015, Argentina announced an agreement with CNNC to build two reactors. The first would use Canadian ‘CANDU’ technology, a technology that CNNC was familiar with from the two CANDU plants it operates in China. The second would be an HPR1000. Given that Argentina’s previous reactor took 33 years to build, mainly because of financial problems, it is not clear when and how quickly the CNNC projects will proceed. 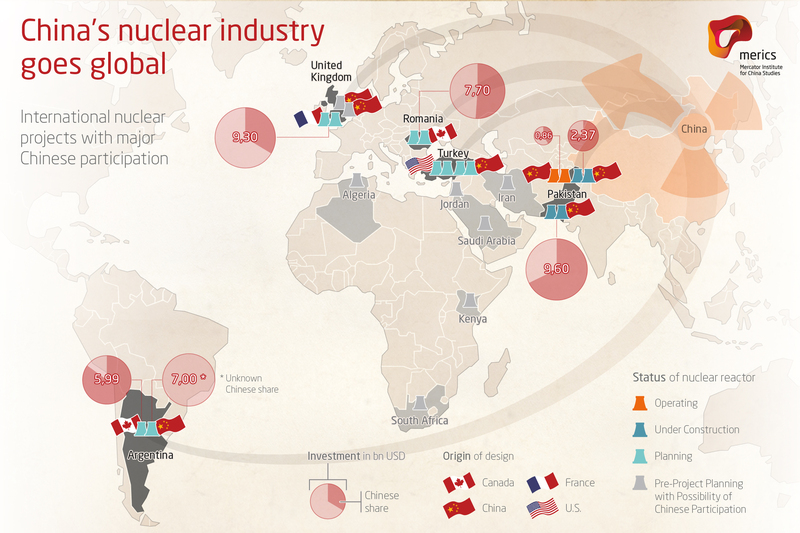 China General Nuclear Corporation (CGN) has a focus centred mostly on Europe. 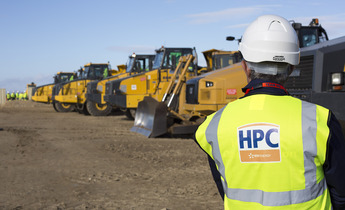 In 2013, the French utility, EDF, announced that CGN and CNNC would be part of the consortium that would build the two EPR reactors at Hinkley Point C in the UK, taking up to a 40% stake between them. In October 2015, when more details of the Hinkley deal were announced, CNNC had disappeared from the picture, for reasons not explained, and CGN was expecting to take a 33.5% stake. 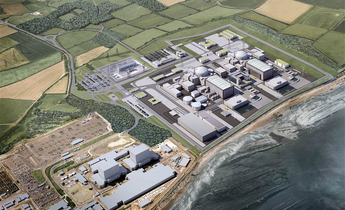 It said it would also take a 20% stake in a follow-up station, Sizewell C. However, more significant was that EDF would release land at one of its sites, Bradwell, for CGN to build HPR1000 technology. The plans are at an early stage and CGN has not announced how many reactors it plans to build there, or what the timescale is. Nevertheless, if it was able to build in UK, it would be a huge fillip to its export plans because of the prestige that winning an order in such a long-established nuclear power as UK would bring. China's other main opportunity is in Romania where it is bidding to build two CANDU reactors. But, in common with Argentina, Romania appears a high risk, low probability market without much to gain from success. In November 2014, Turkey announced a deal to buy four reactors from China's State Power Investment Corporation (SPI), two using the Toshiba AP1000 design and two using the CAP1400, with construction start forecast for 2018/19. It remains to be seen whether any of Turkey’s four orders will go ahead. SPI is one of five vendors competing in South Africa for an order for six to eight reactors, but it does not appear to be a front-runner. As is the case for so many nuclear markets, there is a large risk that no orders will be placed. Areva (owned by the French state and a potential target for takeover by Chinese companies) is essentially bankrupt and in the process of a government rescue. A potential takeover would give Chinese companies an apparently golden opportunity to gain access to markets and to technologies, such as uranium enrichment and spent fuel reprocessing, that it has long wished for.